Monitor your business-oriented social media networking efforts! Choose a LinkedIn Klip from the list. 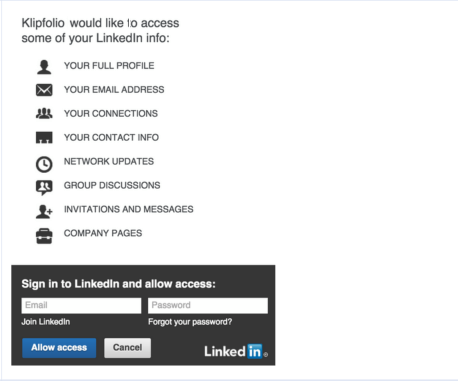 To create a new OAuth token, log into your account in the pop-up window. You now have an OAuth token. For example, George @ LinkedIn. Select your LinkedIn company name from the drop down menu.